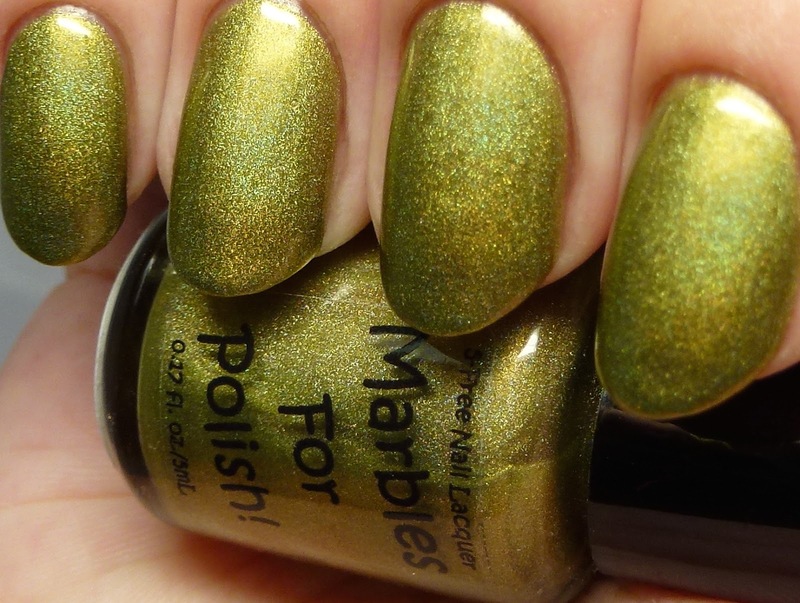 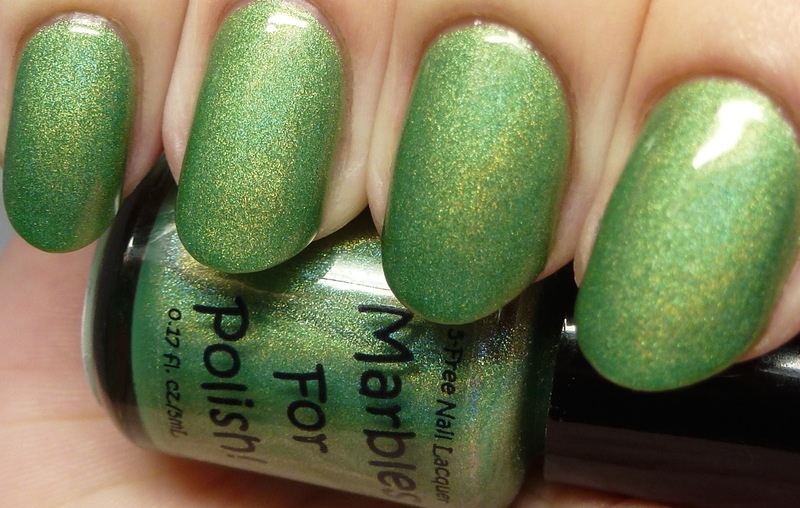 Courage is a mantis green holo with a great, quick-drying formula. No issues whatsoever. 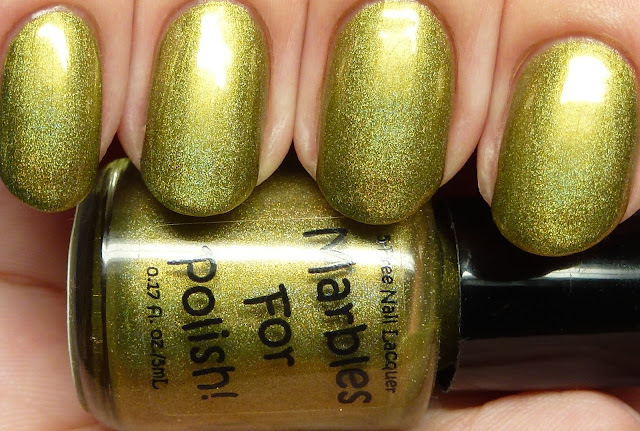 I used four thin coats here. Power is a black holo that is very opaque - I used three thin coats, but you could easily just do one or two. 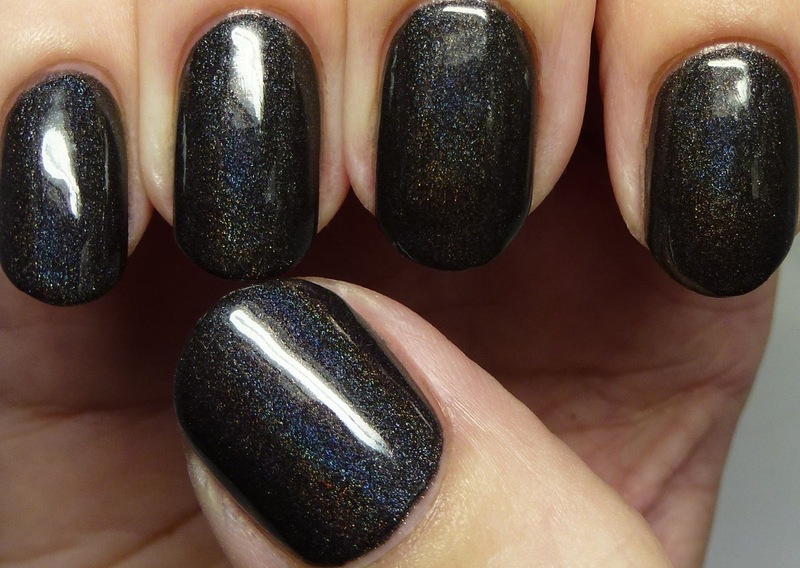 This is rich and inky black with a fine holo texture. 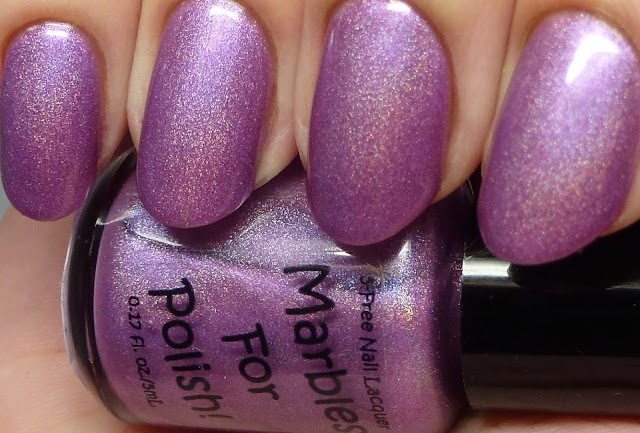 Again, great formula that dries fast. Trinity is the really special one in the bunch for me. 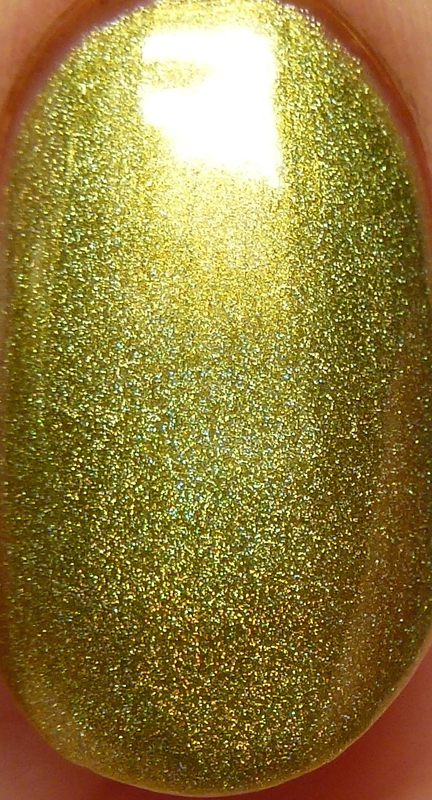 It has linear holo in a green-gold metallic base. 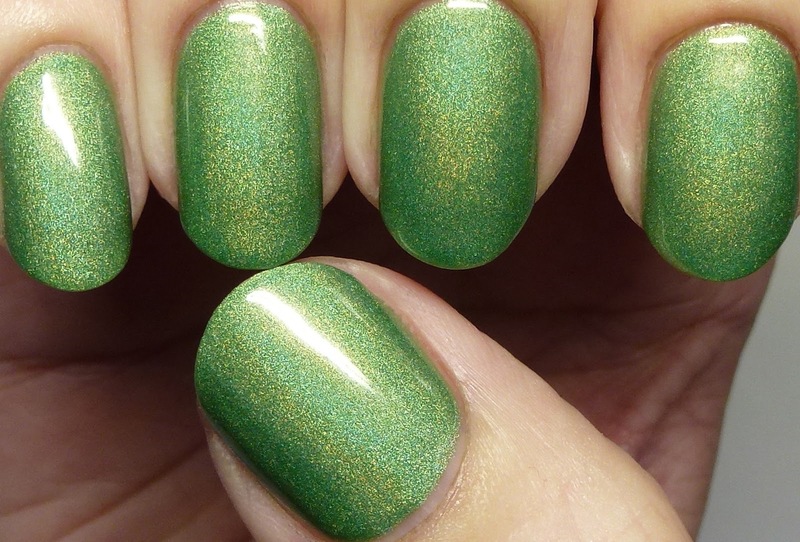 There is a hint of frost, but it is not at all bothersome, it just glows like mad. 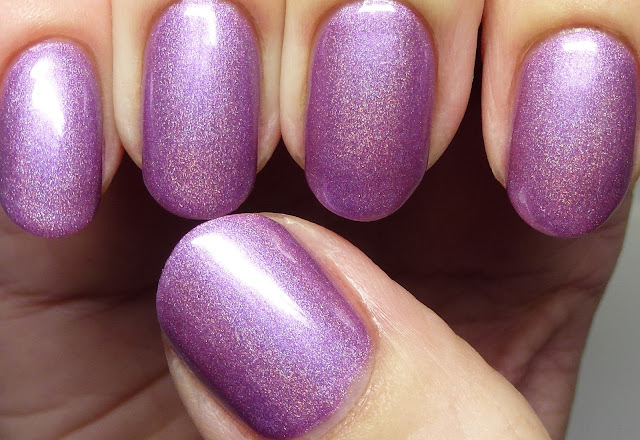 Again, nice, quick-dry formula and I used four thin coats. My favorite! 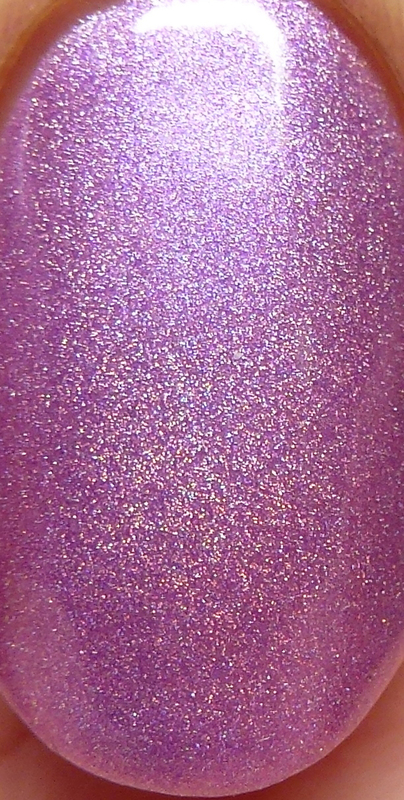 Wisdom is the one for purple fans, and it is quite delicate and shimmery. 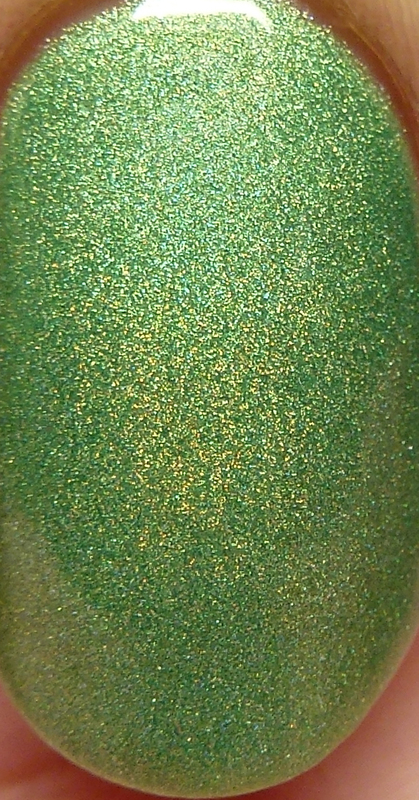 It is definitely slower drying than the others so I recommend a quick dry top coat and/or drying drops for this. 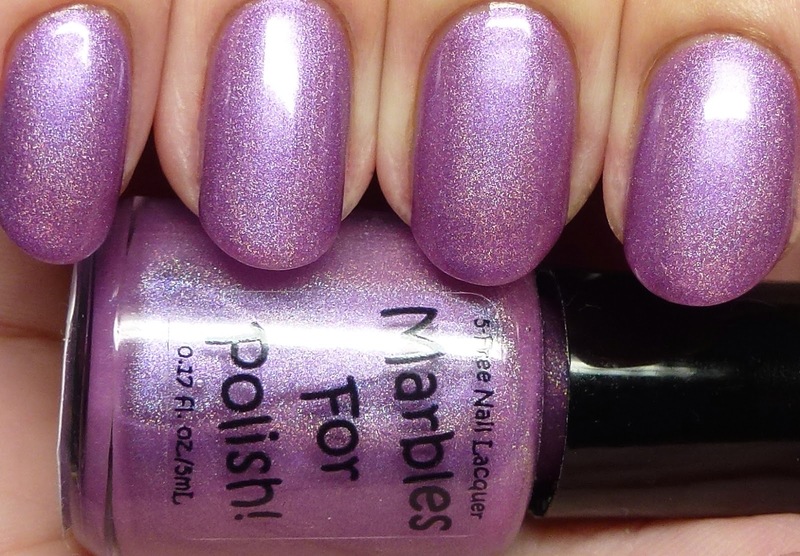 Oddly, I've found this to happen more with purple shimmer polishes than any other kind. 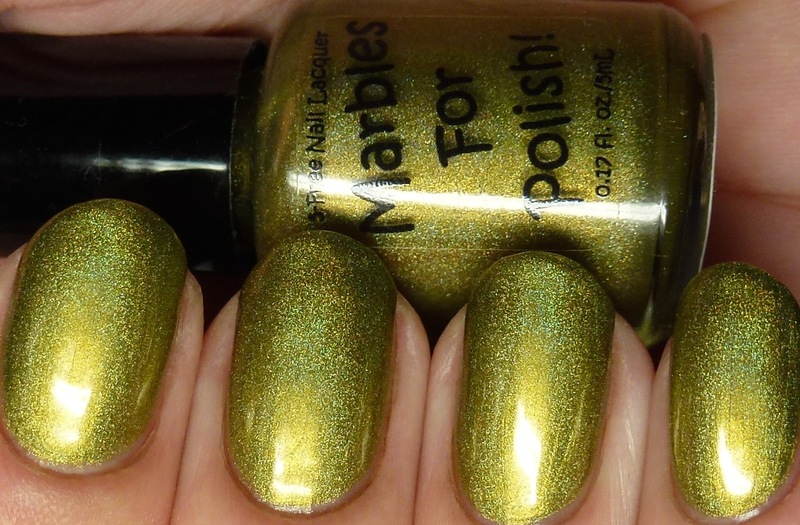 Nevertheless it is still gorgeous. 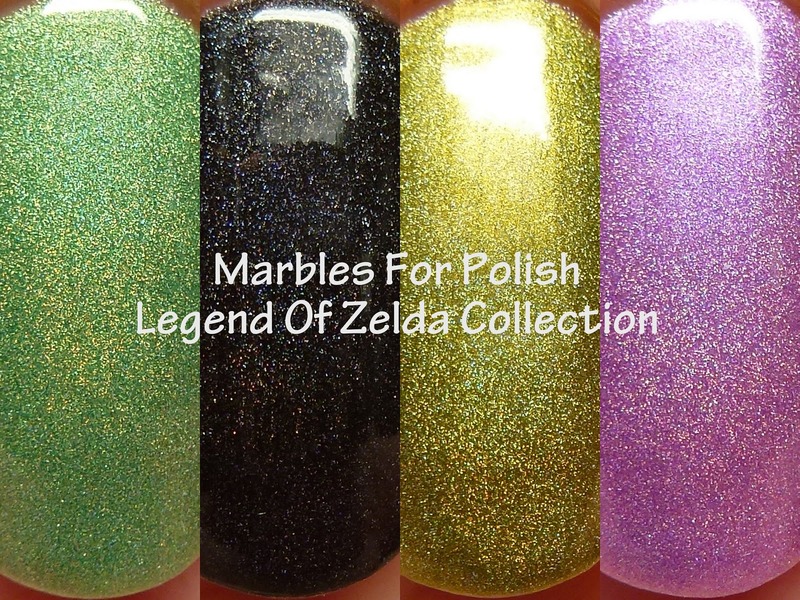 These are available on November 14 in the Marbles For Polish Etsy store and her holos sell for $10 in a 15ml bottle. Are there any that you plan to try?